Sunglasses from GmbH. 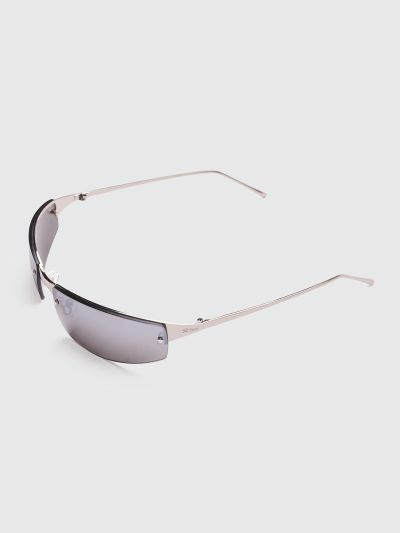 Thin rimway style with black mirrored lenses, silver colored bridge and temple with visible rivets on the front and engraved logos on the sides. Metal frame. Black mirrored lenses. Square shaped lenses with a sleek and rounded metal frame. Measures 60 x 22 x 145 milimeters.